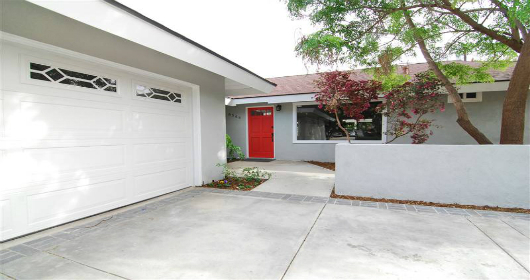 Front house remodeling Tarzana - Helen M.
Exterior Makeover on Traditional Home. When the exterior of your home is appealing, visitors will undoubtedly want to see what's inside. We were able to offer these homeowners a beautiful exterior makeover by adding exterior siding, framed windows with molding and a custom made front porch. A great way to make a statement for all to see is to make some simple improvements to the exterior of your home. 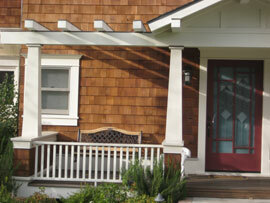 With siding you are able to change the look of the entire home. 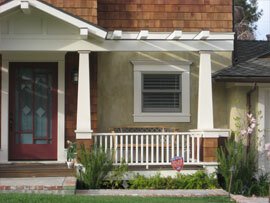 Siding is offered in a variety of designs, colors and materials. 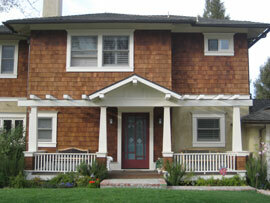 Every type of home siding available offers different advantages. Find out more about the different types of siding that are offered by consulting with our design team. They can also show you a large number of windows and window molding designs so that you are able to select one that will suit your taste. Our design teams responsibility is to make sure that all of our customers are satisfied with the end results. With this being the case, they will make suggestions based on the design of your home. 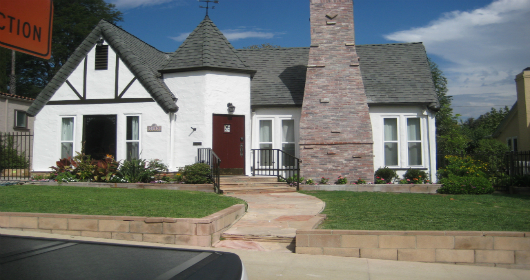 It's important to keep the design style of your home in mind when selecting the exterior features of your home. When it comes to designing and building a custom porch, we take into consideration a variety of factors; such as, length and scale of the front porch. At Polaris Development and Construction we will be able to show you various porch designs and take into consideration what your vision is for your front porch, in order to give you the front porch that you desire.